This month has gone by way too fast! ...and since, on these A to Z "off days," I've struggled a little coming up with names incorporating the date rather than a letter...well, it all just came together for this little guy. Join me tomorrow for more fun with placing a monster's image on top of a background it clearly doesn't fit...! I always loved that MTG card. He was flavourful as Hell, without any flavour text. 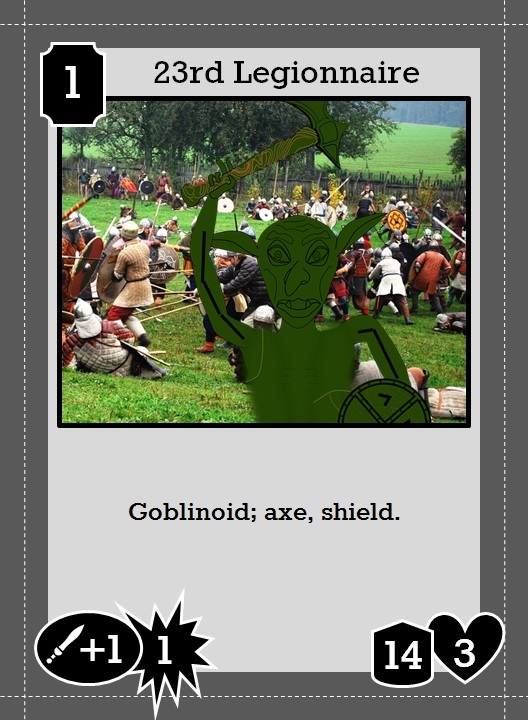 Also, it's nice to see a "normal" gobbo. 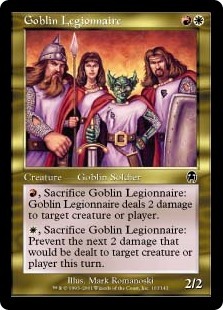 Goblins (and elves) were always my favourite creatures in magic. I used to play them all the time.